Just a little more light for my guys at VDS & Planet Bike. 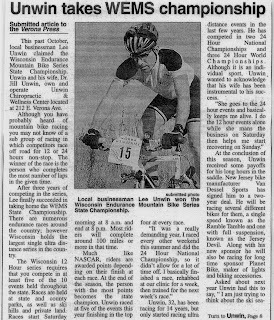 This was a nice little article that came out a couple of months ago on the Wisconsin Endurance Series. Yeah I know its shameless, but it helps keep me riding so just keep that in mind.